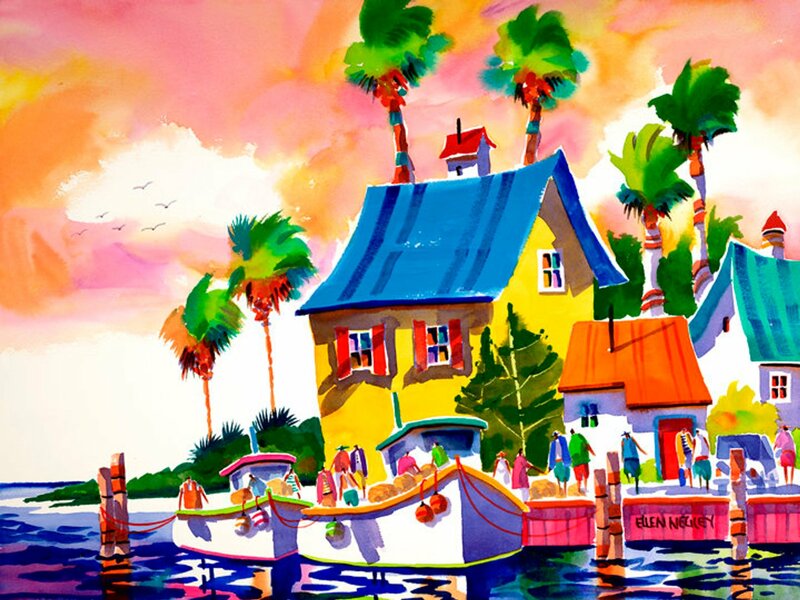 "SALTWATER SUNSET" is a tropical, colorful Florida boatyard scene full of life and energy. My favorite part of any painting is adding figures here and there to add dimension and action. I had fun painting the sky in wonderful tropical pinks and oranges.